There is nothing worse than hearing the buzzing of gnats and other small insects right before they dive head first into your ear canal. Your hand goes up on instinct and you start digging for insect gold like there is no tomorrow. How many people still remember the urban legend of about earwigs laying eggs in your brain? Keep your ears and brain safe with our Insect Ear Guards. 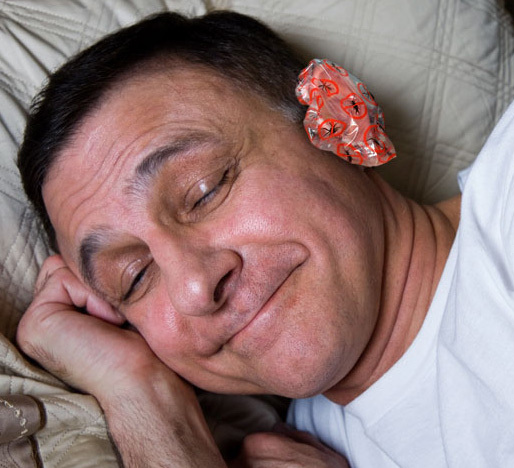 The guards slip effortlessly over your ears and makes sure you're safe from those invading insects. Your life won't turn into a bad B horror movie if you protect yourself with the Insect Ear Guards. Paranoia is so much fun to exploit. That’s why we love Insect Ear Guards. They’re perfect for all those campers who lay awake at night worrying about bugs laying eggs in their brains. 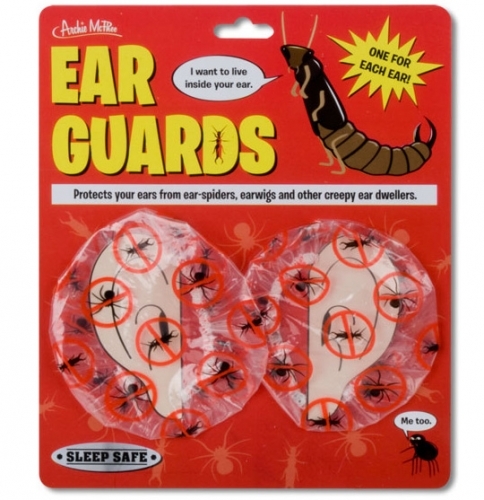 You can be the hero and abate their paranoia with these Insect Ear Guards. They’ll sleep well knowing their ear canals are egg free and you’ll have giggle-worthy stories for life.